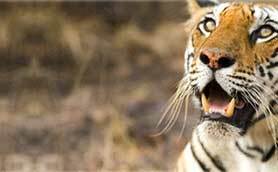 If you want to focus on only at the wildlife of South India, India Jungle Tours has a exclusive package for you. 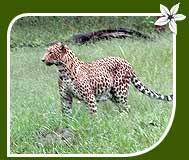 You will have an opportunity to visit wildlife sanctuaries of Nagarhole and Bandipur. Nature lovers will find this package really enthralling. 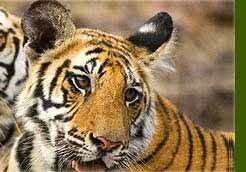 Not only this, leisure travelers also have a lot in this South India Wildlife Tour. They can enjoy sightseeing at Mumbai, Bangalore, Mysore, Hasan and Belur. India Jungle Tours ensures you a hassle free pleasure trip to South India. After breakfast full day sightseeing tour to Mumbai. 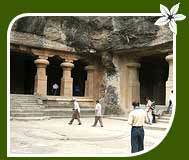 Visit Elephanta Caves in the morning. Later visit the Gateway of India, the Prince of Wales Museum, Dhobi Ghat, Laxmi Temple, Mani Bhavan (Mahatma Gandhi's home and institute). Overnight at hotel. After breakfast transfer to Airport to connect flight to Bangalore. On arrival drive to Nagerhole Wildlife Sanctuary (approx 220 Kms. 5 hrs). On arrival transfer to hotel. Evening is free for leisure. Overnight at hotel. After breakfast full day Jungle activities to include jeep safari, boat trip, nature walk. The sanctuary is rich in Snakes, Four-Horned Antelope, Sloth Bear, Porcupine, Jackal, Mouse-deer etc. After breakfast drive to Hassan. On arrival transfer to hotel. Afternoon visit famous Belur and Halebid temples. Overnight at the hotel. After breakfast drive to Mysore. En-route visit monolithic statue of Lord Gometeswara at Sravanbelgola. On arrival transfer to hotel. In the evening visit Brindaban gardens. Overnight at the hotel. Morning city sightseeing tour visiting Mysore palace and Museum - built in the Indo-Saracenic style. It's an imposing structure standing the heart of the city and is one of the largest of its kind in India. It was formerly the residence of Wodeyar family. The Palace is a breathtaking sight particularly on Sundays & public holidays when it is illuminated. Afternoon visit Somnathpur temple, a masterpiece in Hoysala architecture. Overnight at the hotel. After breakfast drive to Bandipur Sanctuary. On arrival at Bandipur transfer to the resort. Afternoon visit inside the wildlife sanctuary in jeeps. Overnight stay at the resort. After breakfast drive to Coimbatore airport (2 hrs. drive) to connect flight to Mumbai. On arrival transfer to international airport for return flight.